If you happen to be in the southwest of Paris, not far from the centre of Chartres, awaits you in a modern urban street an extraordinary attraction that has been receiving around 30,000 tourists every year. La maison Picassiette, as it is called, is the impressive work of one man’s work between 1938 and 1964. 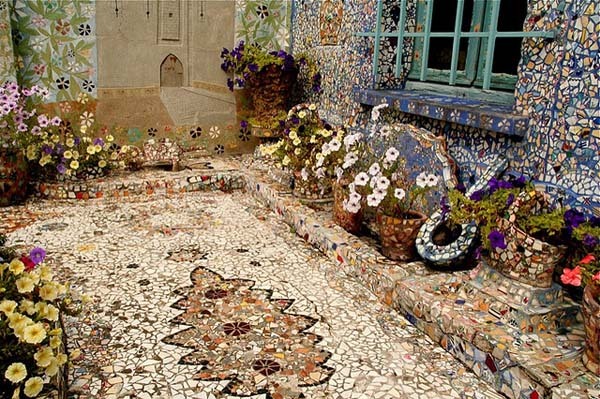 The small house belonging to Raymond Isidore is a massive work of mosaic art. After building this house, Raymond decided to cover it with intricate mosaic, leaving behind a beautiful and unique masterpiece. 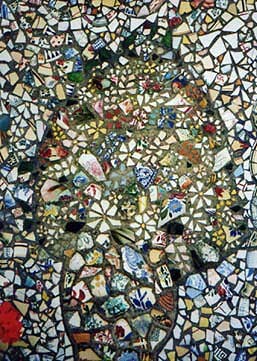 Everywhere you look around, mosaic is waiting to dazzle you, in the house, the garden, the courtyard. Every surface of each room is mosaicked or painted, using tiles, stone and items such as the bases of glass perfume bottles. Although very modest in size, the house hosts fascinating scenes painted or mosaicked, depicting animals, views of Mont St Michel and Chartres, an Arabic city set amongst sand dunes, a panorama of the Holy City, among others, leaving everyone speechless.